Looking for a way to tire the kids out? How does a rave sound to you? Well, there are several coming up at Ministry of Sound under the Rave-A-Roo banner. After a successful launch back in February, Rave-A-Roo is back for six new dates at London’s Ministry of Sound. If you have a diary handy, those are Saturday May 28, Saturday June 4, Sunday June 5, Saturday June 18, Sunday June 19 and Saturday July 2. 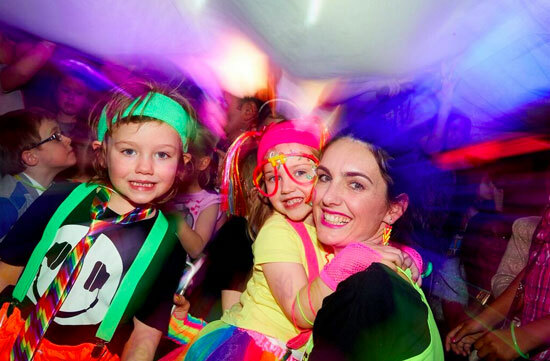 Expect an indoor festival vibe with a focus on family partying. 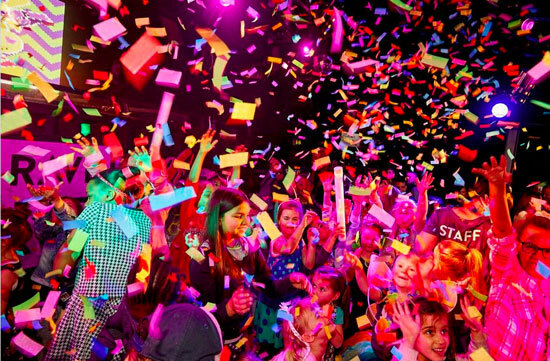 So live DJs and hosts, spectacular light shows, stage performances, a ‘confetti mayhem’ finale, a UV tattoo station, disco ball games, neon crafts, funky soft play, baby glow toys and special guests, including kids TV stars Go!Go!Go! (from Nick Jr). If you want a breather with small children, there is a ‘Glow Chill Room’ plus a bespoke area for babies. Yes, even the smallest aren’t forgotten. Also here is a fully licensed bar (plus tea, coffee and snacks), an onsite buggy park, baby changing, professional security and if you are worried, ‘carefully monitored’ sound levels. If you are not in London, other events are expected around the country later in the year. If you are, tickets are priced at £10 (early bird), £12.50 (advanced) and £15 (on the door). Babes-in-Arms go free (but must have a ticket). Sessions are 12pm to 2pm and 3pm to 5pm. For more information or to purchase tickets, head to www.rave-a-roo.com.